Islam: Religion of peace. 66:9 O Prophet (Muhammad SAW)! Strive hard against the disbelievers and the hypocrites, and be severe against them, their abode will be Hell, and worst indeed is that destination. The article quotes an exhibit in the Holy Land Foundation trial. You can read that exhibit and more at NEFA. The Investigative Project on Terrorism published explicit quotes from the Explanatory Memorandum. I reproduce one here with the addition of links to my explanation of the meanings of several critical expressions. Those explanations will include critical references to Islamic scripture. Here is the court exhibit, in pdf format. The English translation follows the scanned Arabic document. 2:190 And fight in the Way of Allâh those who fight you, but transgress not the limits. Truly, Allâh likes not the transgressors. 2:191 And kill them wherever you find them, and turn them out from where they have turned you out. And Al-Fitnah is worse than killing. And fight not with them at Al-Masjid-al-Harâm (the sanctuary at Makkah), unless they (first) fight you there. But if they attack you, then kill them. Such is the recompense of the disbelievers. 2:195 And spend in the Cause of Allâh (i.e. Jihâd of all kinds, etc.) and do not throw yourselves into destruction (by not spending your wealth in the Cause of Allâh), and do good. Truly, Allâh loves Al-Muhsinûn (the good-doers). 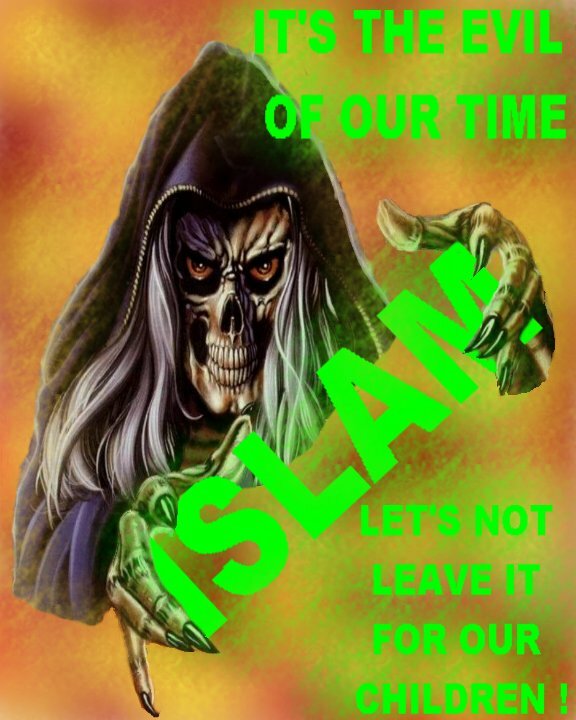 If a Muslim attack infidels without previously calling them to the faith, he is an offender, because this is forbidden; but yet if he do attack them before thus inviting them and slay them, and take their property, neither fine, expiation, nor atonement are due, because that which protects (namely, Islam) does not exist in them, nor are they under protection by place (namely the Daru ‘l-Islam, or Muslim territory), and the mere prohibition of the act is not sufficient to sanction the exaction either of fine or of atonement for property; in the same manner as the slaying of the women or infant children of infidels is forbidden, but if, notwithstanding, a person were to slay such, he is not liable to a fine. It is laudable to call to the faith a people to whom a call has already come, in order that they may have the more full and ample warning; but yet this is not incumbent, as it appears in the Traditions that the Prophet plundered and despoiled the tribe of al-Mustaliq by surprise, and he also agreed with Asamah to make a predatory attack upon Qubna at an early hour, and to set it on fire, and such attacks are not preceded by a call. (Qubna is a place in Syria: some assert it is the name of a tribe). What man, having a soul, possessing even a scintilla of vestigial morality, can know this without cursing Islam? How then, can any politician, any elected official; any aspirant for high office use adjectives or qualifiers when discussing Islam? “Radical Islam”, “Extreme Islam” & “Fundamentalist Islam” all imply that Islam is peaceful, that it does not engage in aggressive wars of conquest, genocide nor terrorism. Nothing could be further from the truth. I have established, by quoting Allah & his Messenger, the traditions of his companions, and Sharia, the fatal fact that Islam sanctifies & mandates Jihad, genocide & terror. Hereafter, when you hear a politician use these terms: “Radical Islam”, “Extreme Islam” & “Fundamentalist Islam”, you will know that he is either ignorant or a liar. Attempt to educate him; send him a copy of this essay. What did Allah do? He terrorized the Bani An-Nadir. Result: destruction of their village. Legacy: casting terror into our hearts. Allah’s religion is made victorious over all other religions has several references to the Qur’an & Hadith. What do believers do? Why? Is that radical or is that standard Islamic practice? But, would the slackers and the Mujahedeen be equal ?